The BACARDÍ Legacy Four Most Promising: Will Krepop, Jenna Hemsworth, Millie Tang, and David Robinson. There’s just two weeks until this year’s BACARDÍ Legacy Four Most Promising compete in the National Final for the Australian 2018/2019 BACARDÍ Legacy Global Cocktail Competition. Now in its sixth chapter, BACARDÍ Legacy was established to challenge the best contemporary bartenders in the world to create their own Legacy. A cocktail that will stand the test of time as have the Daiquiri and Mojito, revered BACARDÍ classics, that are as much part of the unique legacy of Don Facundo Bacardi Masso as the rum itself. The four successful bartenders have triumphed over a record number of entries, the selection of the top 30, and competing in the Top 8 Semi-Final. Now only the National Final being held in February stands between them and their chance to represent Australia at the BACARDÍ Legacy Global Final in Amsterdam. “David, Millie, Will and Jenna have promoted their cocktail throughout Australia and the world, getting as many people to taste, hear about and list their drink, proving it could become the next cocktail to last the test of time.” says Loy Catada who, along with fellow BACARDÍ Brand Ambassadors, Peter Hollands and Georgie Mann, who have personally mentored these competitors on their pursuit for a spot in Amsterdam. At the National Final on Monday 4th February 2019, one of the Most Promising will be selected based on the success of their Legacy cocktail and overall campaign to join the leagues of James Irvine, Dave Kerr, Andrew Bennett, Alissa Gabriel and Fred Siggins. 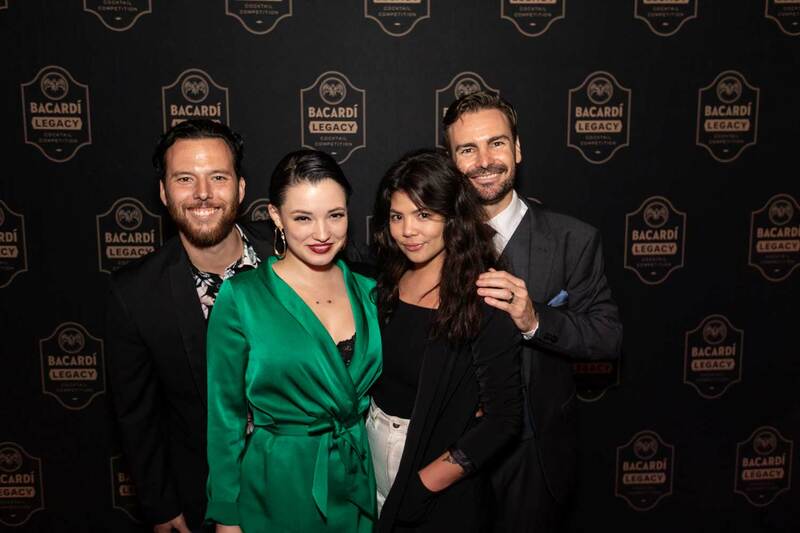 David Robinson, Millie Tang, Will Krepop or Jenna Hemsworth will then prepare to compete for the ultimate title in the BACARDÍ Legacy Global Cocktail Competition Final, taking place in Amsterdam in mid-May 2019. Take a look at The 18th Amendment on Facebook and Instagram. Take a look at the Me Oh My on Facebook and Instagram. Take a look at the Altura on Facebook and Instagram. Take a look at The Monarch on Facebook and Instagram. Follow the Legacy journey on Facebook at www.facebook.com/BacardiLegacyAustralia.